Need help with the GED® test? Get an edge and real experience with our practice tests for the GED test. Try our flashcards for the GED test. They're an effective method for retaining knowledge. Dig deeper with our comprehensive study guides for the GED test. Note: This information reflects the most recent GED changes that took effect in January 2018. The General Education Development (GED) test was created after World War II as a way for returning soldiers to complete or finish their high school education. Back then, most people who obtained their GED certificate immediately began working in their chosen field of employment. Many changes have occurred in the world since then, and today only about 30% of those with their GED certificate enter directly into the workforce, while the rest use the certificate as a “stepping stone” to further their education. In an effort to better reflect current educational and workplace requirements, the GED test has also undergone several updates since its inception. While the core subjects being tested have remained the same—English, Mathematics, Science, and Social Studies—today’s GED test places more emphasis on critical thinking and problem-solving skills. There are four subject area tests: Reasoning Through Language Arts, Mathematical Reasoning, Social Studies, and Science. Reading and Writing are both covered in the Reasoning Through Language Arts section. One GED test section, Reasoning Through Language Arts, includes some sort of written response, either essay, short essay, or short answer (several sentences) items. See specific descriptions of each section for details. They are located in the practice question areas of this site. The GED test contains a handful of question types to measure a wider variety of knowledge and skill levels. They include not only the traditional multiple-choice question format, but also drag-and-drop, hot spot, fill-in-the-blank, and extended response (short and long essay) types. The GED test provides detailed score reporting available on the testing day. Students can strive for scores higher than the 145 passing score and earn exemption from college placement tests and remediation courses in college, and even earn college credit hours.Registering for, scheduling, and taking the GED test is done via computer. The GED test is available in both English and Spanish. There are provisions for free accommodations, such as extra time and the use of scratch paper. For test security purposes, test-takers are normally issued wipe-off boards for scratch use, instead of paper. There are official practice tests you can take to determine your readiness to take the GED test. The results of these practice tests will also identify areas in which you need to work before taking the final test. Students may take the GED test up to three times with no waiting period and then again, every 60 days. This provides eight testing opportunities in a calendar year for those students needing to retest. Be sure to read all of the information about the GED test that is available on this site as there were significant changes in test content in 2014 and minor modifications to scoring in 2016. You can also get the latest updates by visiting the new (May, 2018) GED website. You’ll need to create an account before you can access most information, but this is free, takes only a minute, and obligates you to nothing! BUT, doing so will enable you to find out all sorts of pertinent information about preparing for and taking the GED test, including state-specific regulations. It’s also where you’ll need to register to take the test. Several changes to the GED test went into effect on March 1, 2016. These include new, slightly lower passing scores, two new GED credential levels, and changes to the Social Studies test. The scoring changes are retroactive to January 1, 2014, in most states. Check the status of your state at the new GED website, as well. The costs of taking the GED test vary from state to state, so it is best to check with your testing administrator for the most up-to-date testing fees. The GED testing service charges local testing agencies $30 to administer each subject area test, for a total of $120 for the complete GED test. The cost to the student is determined by the testing center and can vary. Most states seem to charge by subject or module, with many charging $30 or less. To find what the current fees to take the GED test are in your state, check out the official GED website, linked above. There is now a “discounted retakes program” which enables a student to retake each failed subject test twice within 12 months of the initial test, at a $20 discount. In some states, the entire retest fee is waived and you can retest free of charge. A fourth attempt on the same test starts the fee cycle over again, with full price paid for the fourth testing session, and so on. Discounts do not apply to retakes done to improve a passing score. Since you will register and schedule your GED test online, you will need to perform most verification at the test center on the computer, using the log-in email and password you created when registering. Be sure you know this data. You should also check with your testing center for any other documents they might require on test day. If you wish to use a handheld calculator instead of the online version provided, you will need to bring a TI-30XS Multiview Scientific Calculator. This is the only type of handheld calculator permitted and most test centers do not provide handheld calculators for student use. You will be allowed to use a calculator during most of the Math section and during all of the Science and Social Studies sections of the GED test. You will need to bring very little else with you on test day. Cell phones are not permitted in the testing center and you risk cancelation of your test (including fee) if you are discovered to possess a cell phone there. Centers may have limited secure storage for personal items, but it is best to strictly limit what you take. No other persons (friends or family) will be allowed to remain in the testing center with you. Note that questions are assigned different point values for the purpose of scoring. There is no subtraction of points for wrong answers. Obtaining a GED certificate helps open many doors of financial and academic opportunity that are firmly shut without it. Many jobs only hire those with a GED certificate or high school diploma, and it is a minimum requirement for admission at most colleges and universities. Studies have shown that those with a GED certificate have better future earning potential, greater financial stability, and are more likely to own their homes. Testing requirements vary from state to state, so to determine your eligibility, check with your state’s testing administrator. Generally speaking, to be eligible to take the GED test, you need to be at least 16 years old and not be enrolled in high school. 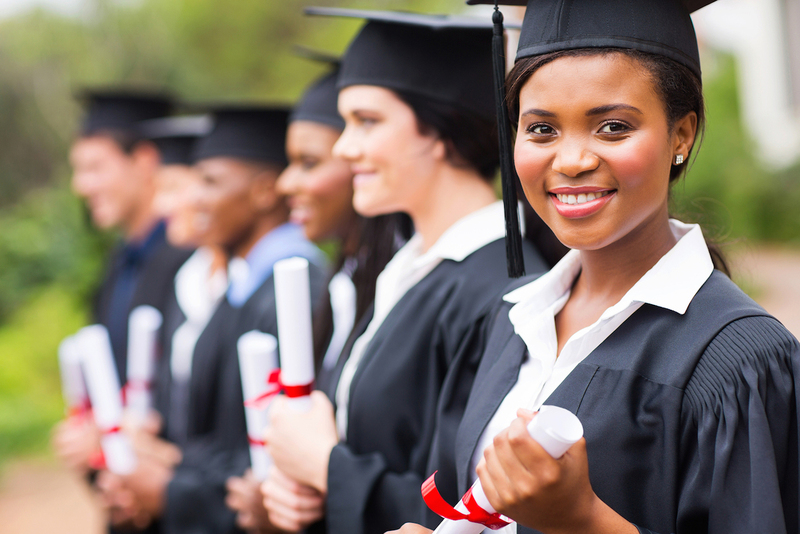 Obtaining your GED certification greatly increases your lifetime advancement and earning potential. Over the course of a lifetime, those with a GED certificate earn over half a million dollars more than those without a high school credential. Additionally, if you are able to score higher than the basic passing range, you could save yourself time and money in college by eliminating placement tests and required remediation classes, and even earning some college credit. A study conducted by the U.S. Department of Education found that males with a GED certificate make an average of $30,000 per year. This number can go up significantly if the GED certificate is used to obtain a college degree or other advanced training. The GED test is given year-round at over 1,500 testing centers throughout the world. To find the testing center nearest you, set up an account on the official GED Testing Services website. It takes about 7.5 hours to complete all four subjects of the GED test, but you do not have to take all of them at one time. Each test may be taken as you feel ready to do so. Time limits for individual sections can be found in the section descriptions for the practice questions on this site. An online clock will be provided to help you manage your testing time.